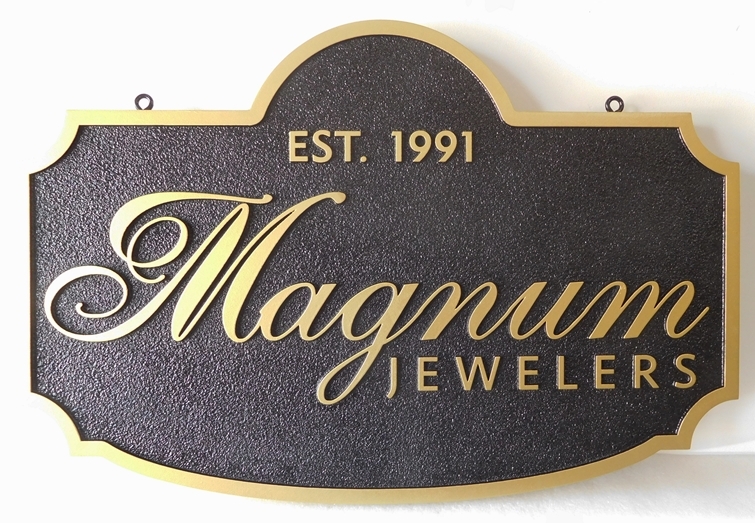 SA28076 - Carved and Sandblasted High Density Urethane Sign for "Magnum's Jeweler's"
This elegant carved High Density Urethane sign for "Magnum's Jeweler's" has script text and border raised above the sandstone texture background. Thje text and border are painted with metallic gold paint. This can be mounted on a wall or hung from a wood or iron hanger from its eyehooks..